Rafe grew up in a small town in Southern Illinois and still has an essay he wrote in third grade entitled “Comedian” -- the letter was a response to the age old question of “what do you want to be when you grow up?” With one foot planted in his humble midwestern roots and one planted in the world of progressive dissidence, Rafe attracts a diverse audience spectrum. Relentlessly charismatic, artistically innovative, Rafe’s approach is refreshing, and his dynamic style makes for an unforgettable comedic experience. Rafe brings his authentic and original point-of-view to personal and social issues that he explores on stage. He is an effective and engaging story teller whose ability to be vulnerable both captivates and disarms audiences. He breathes life into characters that pull you into his world, and has a likability that keeps you laughing regardless of the subject matter, as he examines topics with honesty, wit, and social conscience. Rafe’s professionalism and reputation for being both a club and crowd favorite has already landed him feature spots for top headliners like Dave Attell, Kyle Kinane, Joey ‘Coco’ Diaz, and many more. 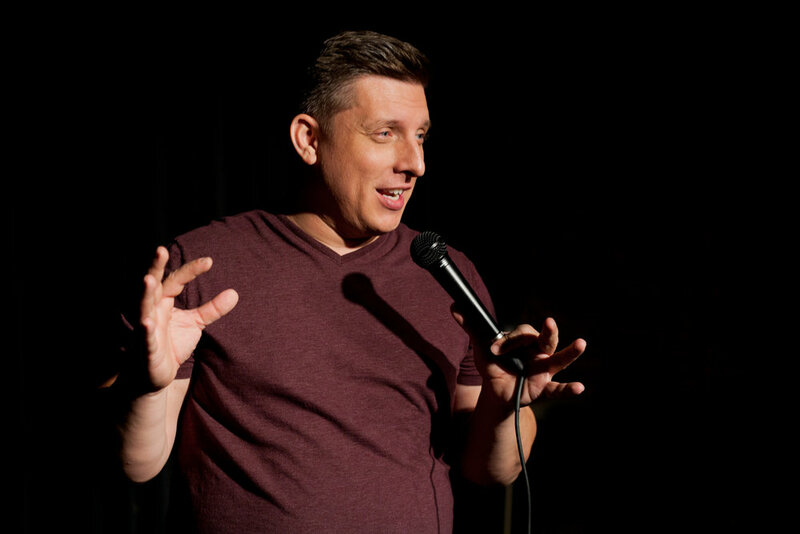 He has headlined his own shows at Helium, Old Rock House, and various small clubs throughout the Midwest. He has received the honor of being named The Funniest in STL by Riverfront Times Magazine in 2017, one of “2016’s Rising Stars in Arts and Entertainment” by GO! Magazine and the St. Louis Post-Dispatch, and the distinction of winning Helium Comedy Club’s first annual “Funniest Person in St. Louis” competition in 2016. Rafe is a comedic virtuoso and immerses himself in his craft. He is a writer/cast member on STL Up Late, a late-night sketch comedy talk show on KMOV CBS television. He is a regular guest and contributor on the We Are Live drive-time show on CBS Sports Radio and also hosts his own podcast called “The Other Side of the Tracks” available on iTunes. In addition, Rafe is an accomplished improviser and is a performer, coach, and adjunct faculty at The Improv Shop theater where he is a member of the house team “Burnside” and “Dadvan” performing regularly at The Improv Shop, Detroit Improv Festival in 2016, Chicago Improv Festival, And Del Close Marathon 19 in NYC with Matt Besser and Tim Meadows.